Ponds invite nature to blossom into your own private paradise. They also create natural screening for privacy and traffic noise. Soothing relaxing sounds help you unwind, and beautiful seasonal changes allow you to enjoy your outdoors for a prolonged amount of time. A pond, or Water Garden as it is sometimes referred to, is made up of many different parts and when those parts are assembled together correctly, they form a beautiful and naturalistic work of art that changes personality with the time of day, the change of the seasons, and the moods of mother nature. Most people think of outdoor grills and patio furniture when they think of outdoor living spaces. Once the outdoor meal is over, what more is there to do in your backyard? While many homeowners turn to pools or hot tubs, they’re discouraged by the amount of maintenance and chemicals required with these amenities. 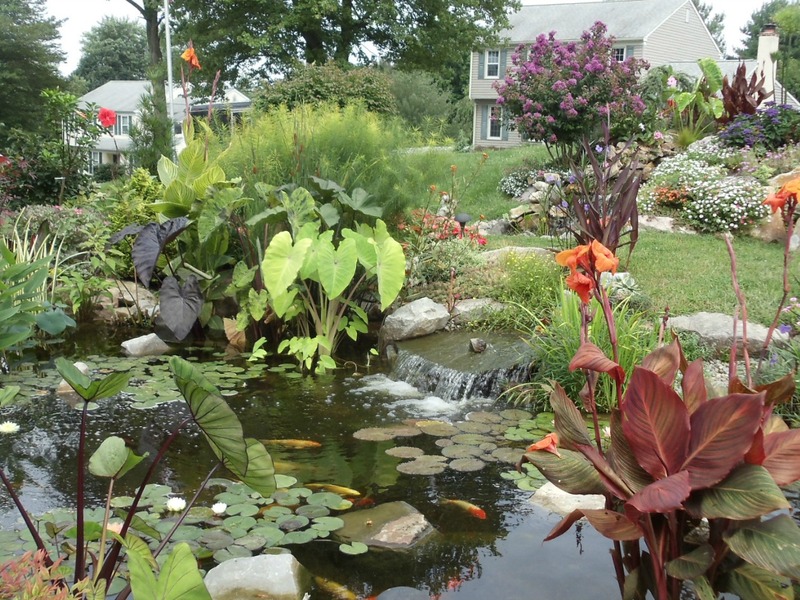 Our ponds are low maintenance ecosystems where fish and plants interact in a gorgeous environment. 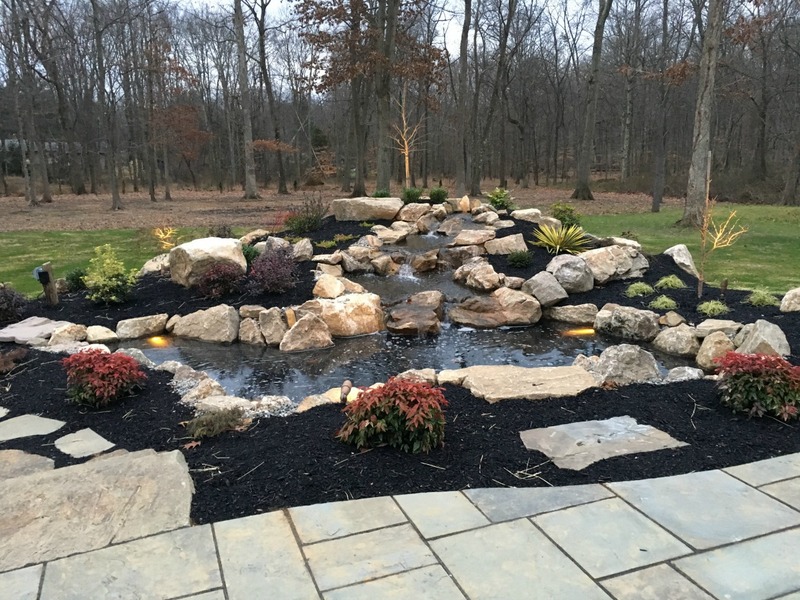 Unlike other ecosystem ponds you may find, Turpin Landscaping strives to create water features that appear to be a natural part of your landscape. Our most valued compliment is when it is said that our pond looks like it has been there forever, even though it was recently installed. By using local stone sources, liners are hidden and colors blend into your environment. Additionally, Turpin is one of a few contractors who use fish caves, or places for your fish to hide from predators increasing their likelihood of survival. Turpin Landscaping is a Master Certified Aquascape Contractor and our Technicians have completed the Aquascape Academy Program.